His vibrato is decidedly not modern but his approach to baritone saxophone exemplifies the fresh and dynamic qualities which describe a modern bari sax player. 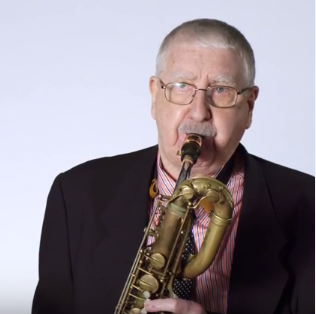 In this series of videos Tim Sullivan, a great player himself, interviews the legendary Joe Temperley. In the process, Joe shares everything from his approach to vibrato and tone to his early life and experience on the road with Duke Ellington. While I don’t care for Tim Sullivan’s interview style he did succeed in getting Joe to loosen up and encourage him to dive into his stories.